The popularity of mobile devices and applications is growing every day. Applications for agricultural professionals and farmers are no exception. These apps can be valuable tools that could save farmers valuable time so maybe they have more available to spend with family. 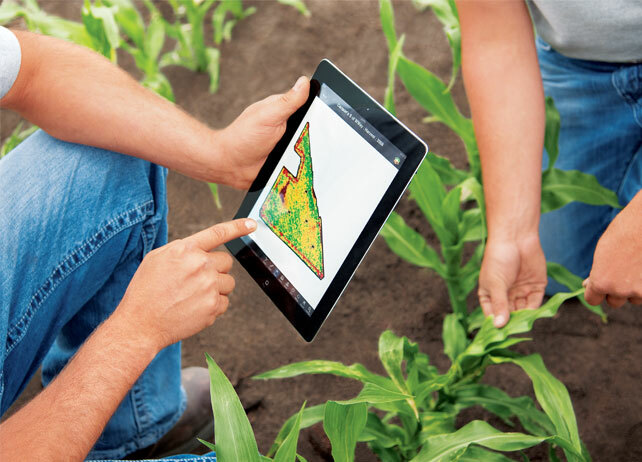 Here are 5 Apps that can be helpful to an agricultural business. There are many other apps available to agricultural professionals. After a little research you can find apps that are suited to your needs and possibly make your life on the farm much easier. The website, CropLife.com, has several more listed on their site, as well as tips for choosing Ag apps that will benefit you most. This entry was posted in Farm Technology, Technology and tagged agriculture, Apps, Arizona farmers, Technology. Bookmark the permalink.